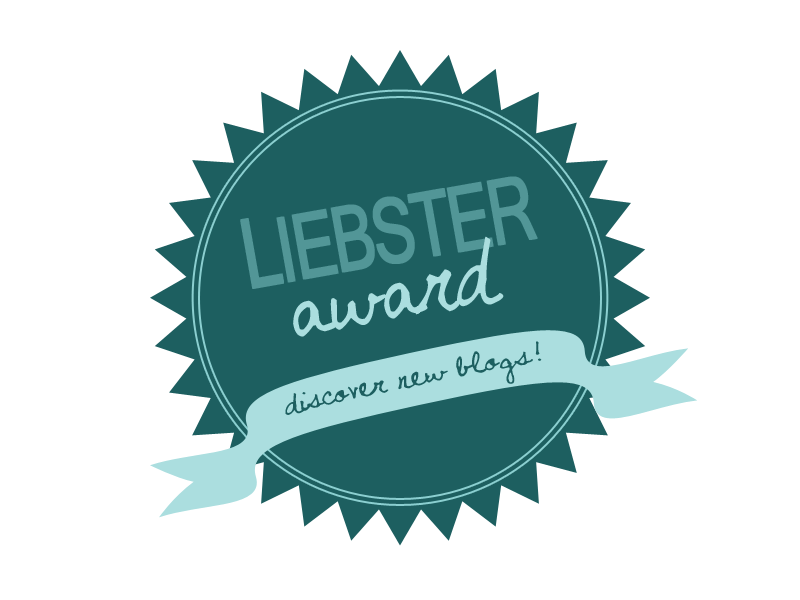 Thanks so much to the lovely Blogging Mamma who tagged me at the same time I tagged her for a nomination for the Liebster Award. This is my second nomination, and I have done my original post here. I have taken her 11 questions and answered them below - thanks Mamma! 1) If you could only eat one food or meal for the rest of your life what would it be? It would definitely be Christmas Dinner with all of the trimmings - it's my favourite meal. There's so much choice and it's so satisfying. 2) What's your favourite non-blogging related thing to do? I love making Jake laugh - so that's a favourite, but watching films is one of my favourite things to do - we have a very large, eclectic collection. 3) if you could meet any celebrity who would you want to meet and why? This is tough as I'm not at all into celebrities. I think I'd really love to meet any of the following, just to have a witty, intelligent conversation with them and listen to their beautiful voices: Anthony Hopkins, Ian McKellen, Benedict Cumberbatch, Alan Rickman, Patrick Stewart, and Stephen Fry. Wow that's really hard for me to narrow down because soooo many things/ people annoy me. One that springs to mind is when people in front of you just stop walking and stand in the way. Or, when people talk all through a film you're watching. 5) Main goal for 2015? I have lots of things to work on, or change and improve. But my main one is to strike a work-life balance once my maternity leave ends. 6) Link your favourite blog post written by someone else. I don't have a favourite, but I've enjoyed reading Beau is Blue's post in their first Christmas - was lovely to hear they had such a nice time. 7) link your favourite blog post written by you. I explained about this in my original Liebster post. My favourite post I've written is 'An Interview With Daddy. 8) Are you a planner or a spontaneous kind of person? I think it's fair to say I'm a planner... unless you count when I do the food shopping and buy random things! 9) What non-physical trait of yours would you change? My constant ability to say stupid things and then go over them again and again in my head, reliving the fact that I am an idiot. That. 10) What made you begin your blog? I've covered this in my original post. Essentially, it was my husband's insistence that I should 'write something' and my need to journal life as a mum. 11) Tell me a quote or mantra you identify with. Have always totally loved something Dumbledore says in Harry Potter: "Words are, in my not-so-humble-opinion, our most inexhaustible form of magic. Capable of inflicting injury, and remedying it." So there you have it! My answers to Blogging Mamma's questions for me. Fab answers! Particularly love the Dumbledore quote and the celebrities you named. It's not just me who thinks their voices are beautiful!! :) x Thank you for answering my questions! You're very welcome! Great questions - thanks for the nomination.